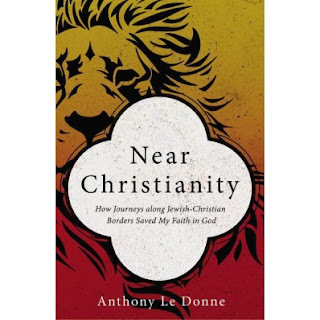 Anthony Le Donne’s Near Christianity is unlike any book that I have read before. Two parts personal memoir, one part theology, and one part history, this book is a fresh and important contribution to Jewish-Christian dialogue. I’ve read most of what Le Donne’s written, and I don’t hesitate to say that I think this might be the most interesting book he’s published. The next time I teach an introductory hermeneutics, Gospels, or Christian history course, it will be on the syllabus. The next time I’m asked by a pastor or layman what he or she should read, I’ll be handing it to them. Near Christianity is so interesting partly because Le Donne has cultivated the art of accessible writing. Reading this book is not like reading a book at all. It’s like having a pint at the pub with Le Donne, except it’s not just you and him; it’s you, him, and a whole host of his friends whom he’s brought for the occasion. His family’s there; his Jewish friends, such as Larry Behrendt, are there; his Christian friends, such as “Ben” the struggling pastor and “Adrian” the frustrated Catholic, are there; Freud is there; the Grateful Dead are there; Homer Simpson’s there; Elie Wiesel and Amy-Jill Levine and the Coen brothers are there. . . . it’s basically the best Friday afternoon at the pub that you’ve ever had. Le Donne is happy to host you at the pub. Le Donne’s chief conversation partner in the book is C. S. Lewis, the British patron saint of evangelicals. The title of Near Christianity is intended to mimic Lewis’s popular Mere Christianity. Throughout the book, Le Donne interacts critically with various assertions of Lewis, all the while providing readers with a book that, like Mere Christianity, introduces them to some of the finer aspects of the Christian faith. There is a critical difference, though. 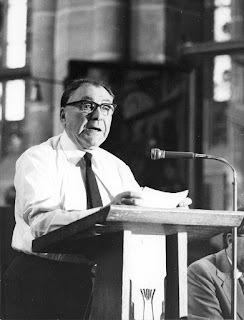 Le Donne is not attempting to replicate Lewis’ “classic” introduction to the core of the Christian faith; he’s deliberately taking readers to the margins, to the places where borders are blurry, particularly borders between Jews and Christians. At these borders he tells stories of failure and stories of success. He walks the reader through unpleasant truths about the anti-Judaism and anti-Semitism of such heroes of the Christian faith as Martin Luther and John Chrysostom. Some Christians never knew these things and some did but preferred not to talk about them. But here, in the pub, Le Donne is putting it all on the table, convinced that honest conversation is the best step forward. The conversation is rife with laughter and sorrow. Your side splits when Le Donne tells you about how he—an Italian—once honestly believed as a child that he was Chinese and was severely disappointed to find out that he was not. The hair on your neck stands up as he quotes Luther’s The Jews and Their Lies, advice to government officials on the persecution of Jews in pre-Holocaust 1542, alongside Elie Wiesel’s post-Holocaust Night. Le Donne, master storyteller, leads us to see ourselves and others as we too often do not. This book proceeds on the basis of shared borders between Jews and Christians. For example, Chapter Two, whose title, “On the Border of Always Winter and Always Christmas,” plays upon Lewis’s description of an Aslan-less Narnia as “always winter and never Christmas,” forces readers to consider the power dynamics at work in the Christian-dominated Christmas season. Chapter Three’s aforementioned invocation of Luther and Wiesel, “On the Border of Jesus and Genocide,” lays bare the Christian contributions to Kristallnacht and the Holocaust. A similar theme emerges later in Chapter Five’s discussion of the anti-Semitic influences that helped created “Kittel,” the much-referenced Theological Dictionary of the New Testament. This chapter, titled “On the Border of Anti-Judaism and Philo-Judaism,” makes the important point that both anti-Judaism and philo-Judaism share an inherent possible danger, that of making Jews into caricatures. Le Donne carefully indicates that the possible—though not inevitable—danger is always in pressing Jewish identity into a theological agenda. To combat this danger, he advocates here and especially in Chapter Six (“On the Border of Laughter and Intimacy”) that friendship and personal relationships are better than caricatures. In my estimation, “On the Border of Anti-Judaism and Philo-Judaism” and “On the Border of Laughter and Intimacy” are the highlights of the book, where Le Donne masterfully leads readers to consider difficult problems from new perspectives. Without a doubt, the reader emerges from these chapters, and the whole book, having learned important and unexpected lessons. 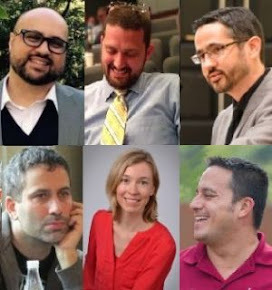 As I write these words of praise, I know some readers of this blog will dismiss them because Le Donne and I are close friends, frequent collaborators, and former colleagues. To prove that I did not shut off the critical parts of my brain while appreciating this book, and thus that my praise is not simply cheering for the home team, let me note a few places of disagreement. Despite my attempts, Le Donne continues to read Mark 15:35//Matt 27:46 as a divine abandonment and says, “Jesus also accused God of abandonment” (166). I am not afraid of a Jesus who makes me uncomfortable, but I think there’s a better way to read that narrative that makes more sense of the full narrative. I also think that, in his largely-correct attempt to impress upon the reader that ancient “faith” was more about family than it was belief, Le Donne has overcooked the argument. He says, “Many ancient Jews (Jesus and Paul among them) used the metaphor of family to describe their relationship with God. 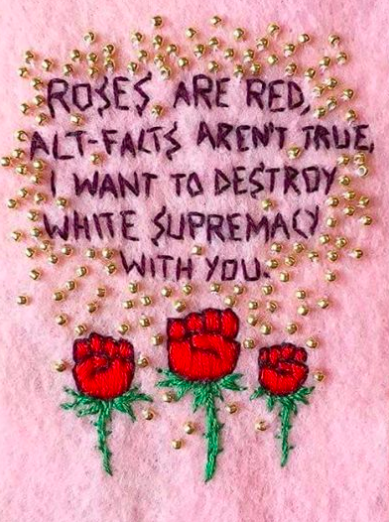 This metaphor fit hand in glove with their biological connections. Belief did not make a person a child of God; belief—and demonstrated belief—was a natural response to the reality of a previously established and secure belonging. This stands in opposition to what many modern Christians think of when they think of religious membership” (194–195; see also 199). 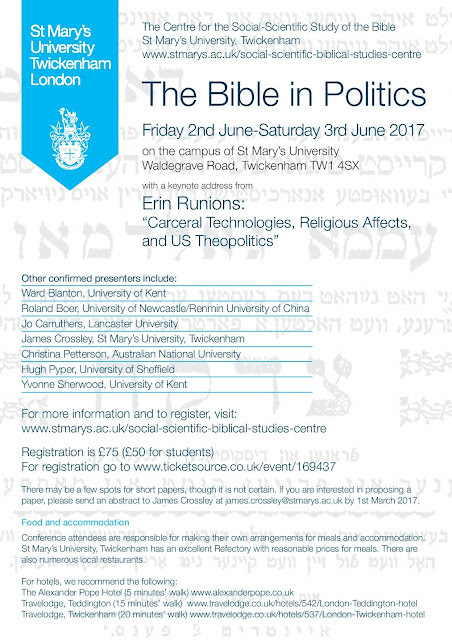 It’s true that ancient Judaism was a “collectivist culture” (199) and also that modern Christianity overdoes the significance of individual belief, particularly when it conceptualizes belief as “assent.” What Le Donne omits here, however, is that one could also say that modern Christianity has made these mistakes with the help of some ancient Jews. For, in my opinion, the author of the Gospel of John was an ancient Jew (or in the very least a Gentile who was steeped in the sacred texts of ancient Judaism) who indeed emphasized the connection between “belief” and being a “child of God” with teachings he sometimes puts on the lips of Jesus: “To those who believed in his name, he gave the right to become children of God” (John 1:12); “For whosoever believes in him . . .” (John 3:16; see 3:16–18). We can perhaps argue over what constitutes “belief” for this author, but whether it is connected to be(com)ing a “child of God” seems pretty clear. As a briefer complaint, I have more of an appreciation for Ricoeur’s “second naiveté” than does Le Donne (200). Finally, Le Donne is a godawful bull-rider. 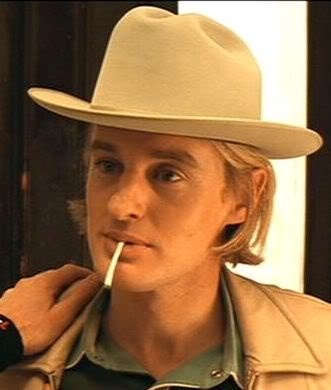 It’s as if he’s never even seen 8 Seconds. Let me get back to underscoring why this book is incredible and the best available at what it does, not just in terms of content but in terms of timeliness. I’m sure that I hardly need to point out the significance of Le Donne’s demonstration that hearing, understanding, and loving those of other faiths (and no faith, though this isn’t the point of his book) in these times in which so many, including many misguided Christian leaders, are siding with xenophobia. 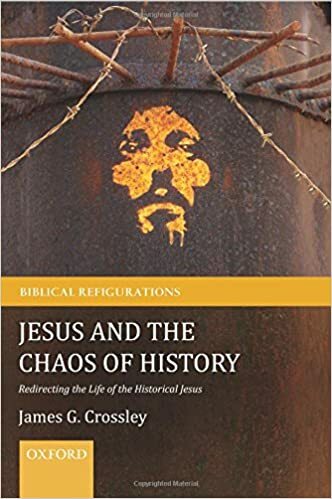 Beyond this, however, I believe this book, consciously or not, taps into another big trend in American Christianity, namely the disintegration of evangelical identity. One of the running subthemes in this book is Le Donne’s own transition from being an evangelical into a “progressive” Christian. 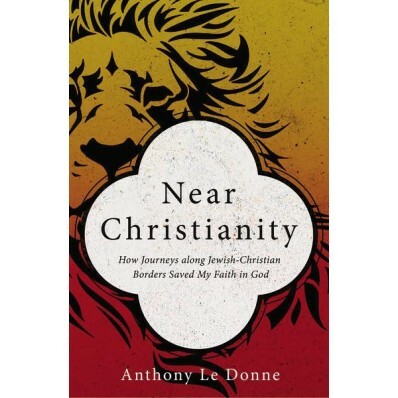 Although there were undoubtedly many other forces at work, I don’t think it’s a coincidence that Le Donne has come to appreciate Christianity’s inherently symbiotic relationship to Judaism, and therefore Christianity’s shared borders with Judaism, once (or as) he also moved away from evangelicalism. This fits entirely with other trends, such as the well-documented surge in evangelical “conversion” to Catholicism. Evangelical identity, particularly in America, is fragmenting so thoroughly that many people who formerly moved in that world are tapping religious kin with more tradition and history, seeking to anchor their own identities into something more solid. In a different way and for different reasons, this plays out at the practical level as well. I don’t have statistics to back up this point, but anecdotally there certainly seems to be an upswing in evangelicals hosting seder meals and observing Lent. I would go so far as to say that any of those American churches doing things like hosting seder meals should be required to read Near Christianity. In that sense, I think Near Christianity, like its namesake Mere Christianity, provides not only a snapshot of this moment in Christianity, but something of a road map for the future. For Christians, Le Donne stresses owning our ugly, wrestling honestly with doubt and God’s silence, and having one’s own faith enriched by honest friendship and conversation with Jewish neighbors. For Jewish readers of Near Christianity, the book should give some sense of why some sectors of Christianity have ignored this important conversation too long and function as a key step toward mutual appreciation. Given the nature of the topic, it is inevitable that some critical readers will find points of disagreement. It is also inevitable that all readers will emerge having learned more than they expected when they picked the book up. Le Donne is to be commended. Near Christianity might be the most important book since Eli Cash’s Wildcat. "More than any other contemporary scholar, Loren Stuckenbruck combines expertise in Second Temple Judaism and in the New Testament. One of his goals is to correct misconceptions about early Judaism that are prevalent in New Testament scholarship. In this volume he focuses on the myth of the fallen angels and its reverberations in the Dead Sea Scrolls and the New Testament. This is essential reading for anyone interested in the Jewish context in which Christianity emerged." 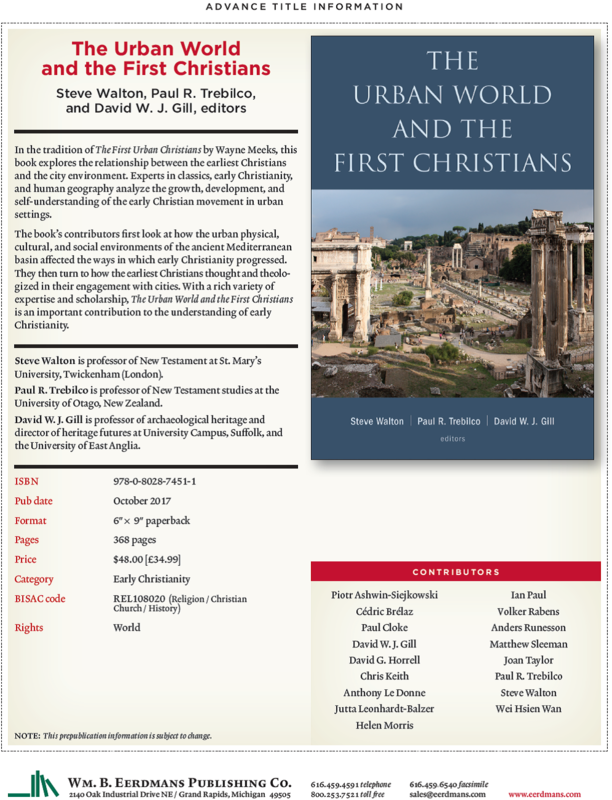 I'm very pleased to share the pre-publication information on the next major publication from the Centre for the Social-Scientific Study of the Bible at St Mary's University: The Urban World and the First Christians. Stemming from our 2015 conference, this volume is edited by Steve Walton, Paul Trebilco, and David Gill, and includes interdisciplinary studies on Christian engagement with the urban contexts. 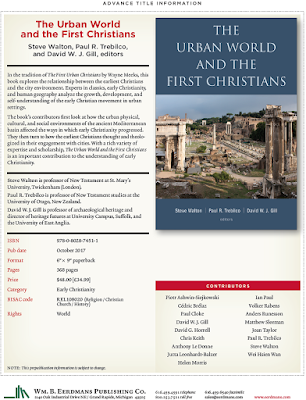 It will be published in October by Eerdmans. I've used Early Christian Writings dot com with great affection for many years. It's a very useful teaching resource for new students of biblical studies. This particular page on theories of the historical Jesus is (not surprisingly) also very helpful. It gives a nice survey of the historical Jesus landscape, albeit somewhat dated. I did notice a blindspot. 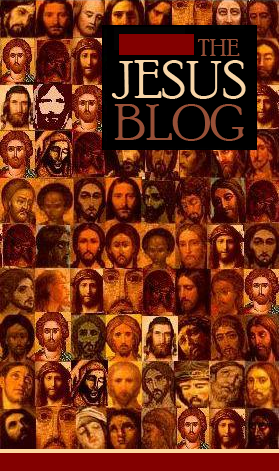 This list details theories of Jesus as myth, as prophet, as sage, etc. But no such list is complete without a "Jesus as exorcist" entry. On this note, it is time to take notice of the underrated work of Graham Twelftree. Twelftree's book, Jesus, the Exorcist: A Contribution to the Study of the Historical Jesus shed new light on a key but under-appreciated element of Jesus' career. 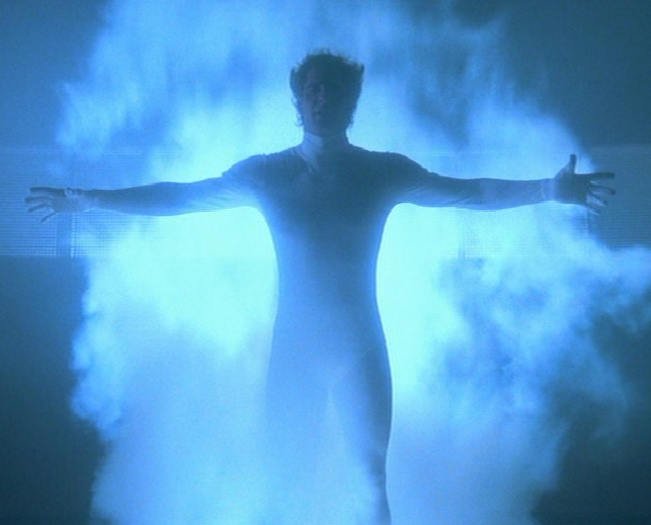 It occurs to me that this element is still under-appreciated 30 years later. Although, see e.g. this book and this book for material advances. I've tinkered with this element in a few publications too. Sure enough, the name Twelftree isn't once mentioned. Neither is the word "exorcist" mentioned. I should note, however, that the term "exorcism" is mentioned in passing a few times. But without much explanation. The ever quotable Amy-Jill Levine is quoted, "Most scholars agree that Jesus was baptised by John, debated with fellow Jews on how best to live according to God’s will, engaged in healings and exorcisms, taught in parables, gathered male and female followers in Galilee, went to Jerusalem, and was crucified by Roman soldiers during the governorship of Pontius Pilate (26-36 CE)." I should also note that among those who have built upon this fact, some have elevated it to a cosmic scale (e.g. Wright) and others have elevated it to a political scale (e.g. Horsley). In both cases, demonic possession becomes a metaphor for something more global and more culturally important. This allows Jesus' career as an exorcist to serve as a wide-lens social commentary. So if Jesus' career as an exorcist is one of the generally accepted facts of history, why is this element underplayed in our popular depictions of him? More to the point, why are there so many books, essays, and documentaries about Jesus with almost no treatment of this key element? I have a few half-baked thoughts on this. (1) Paul doesn't care about exorcism. Or so suggests the thirteen letters attributed to him. Paul certainly believes in evil powers on a cosmic level but he never mentions exorcisms or Christian exorcists. Indeed, early Christianity doesn't preserve much material on Christian exorcists. Could it be that the Christianized West took most of its theological cues from Paul? (2) The Gospel of John doesn't care about exorcism. No demons are cast out of human bodies in the Fourth Gospel. Judas is said to be possessed by the Satan. "As soon as Judas took the bread, Satan entered into him. So Jesus told him, "What you are about to do, do quickly" (John 13:27). Rather than casting out Satan, Jesus gives the possessed Judas his permission—perhaps even a command?—to do the dastardly, demonic deed. So, as far as John is concerned, Jesus is not an exorcist. Could it be that Christianity's Jesus Christ is mostly Johannine? (3) The Hebrew Bible doesn't care about exorcism. While we might see a rare exception with David's ability to sooth the "evil spirit of the Lord", there is nothing in the Hebrew Bible that parallels Jesus' war with demons. None of those iconic and highly influential stories from Adam to Jonah prepare us for a career exorcist. Had it not been for Mark's unique interest in exorcism (impacting Matthew and Luke), we would think that exorcism was unbiblical. (4) When we look down the well of history to find our own reflection, we rarely see career exorcists. Historians (like artists, ideologues, and religious folks) are notorious guilty of finding our own reflections in the face of Jesus. In the modern, white, western world, we simply cannot relate to this worldview. [Odd but true sidebar: I personally witnessed two exorcisms in Zimbabwe during my five-month visit in 1993.] Our only mainstream category for possession relates to the genre of horror. That is, unless you count Scott Bakula's weekly possession of different human bodies in the 1980s. Oh boy. In sum, the fact that Jesus was a career exorcist doesn't much work for us. It alienates him from us. Whatever selectivity Christians have employed to invent a modern "biblical" worldview has largely neglected this portrait. Moreover historical and political appropriations of Jesus have focused elsewhere most often (noteworthy exceptions listed above). Even so, I remain convinced that Jesus' career as an exorcist is one of the top five things we must know about him to understand him as a man of his own time, place, and worldview. The topics will be broad ranging and will involve critical analyses of uses of the Bible in politics in a range of geographical and cultural contexts roughly within the timeframe of capitalist modernity. There are more confirmed speakers too. Further details to come over the next few weeks. "I have admitted earlier that from 1930 to 1933 I too voted for Hitler. My work in the congregation and for my dissertation left me little time for involvement in politics. Every night, and for an entire year-and-a-half, while synodical vicar in Barmen, I was forced to experience the civil war at my very door. I eagerly longed for order. In family and school we continually heard that the Treaty of Versailles shamefully humiliated us Germans. Finally, the war left behind six million unemployed in our country. So my friends and I agreed that only a strong government could help us. I did come to mistrust Hitler after his intervention on behalf of a criminal storm trooper in Silesia. But I was naive enough to suppose that we could get rid of him at the next election in four years. In the meantime, the party of the German Christians was formed. In the summer of 1933 it grew from four to forty-five members among the representatives of my congregation. Then, when the so-called Reichsbishop incorporated the evangelical youth groups into the Hitler youth, and when the Roehm putsch eliminated disputes within the Nazi leadership through mass murder, we could no longer ignore our having been handed over to thugs who unflinchingly used force and would yield only to force. The founding of the Confessing Church at Wuppertal led to political opposition. As early as the fall of 1933 I declared that the Reichsbishop was a traitor to the evangelical church. From then on I was hated by the Nazis, later was denounced in the marketplace as a national traitor by the Gauleiter (district leader) in Gelsenkirchen, and was recommended to the higher authorities for assignment to a concentration camp. The chairman of our congregation lent support in an appeal to headquarters in Berlin. For either side there was no turning back. . . . I should like to break off here. It would lead to a full-scale autobiography if I were to tell how I had to be a soldier for three years, perhaps to get out of reach of the area command and seizure by the Nazis; how I finally survived the camp at Kreuznach, in which 70,000 prisoners starved, then returned to a heavily bombed congregation. . . . As a last word and as my bequest, let me call to you in Huguenot style: 'Résistez!' Discipleship of the Crucified leads necessarily to resistance to idolatry on every front. This resistance is and must be the most important mark of Christian freedom."